A normal lens of an eye is clear. A cataract is a clouding in the lens that blocks some of the light and causes loss of vision. As a cataract develops, it becomes harder to see. Most people have cataracts in both eyes although one eye may be worse than the other. Cataract surgery is a highly successful surgery. In fact it is one of the most common and highly successful surgeries performed in the United States , with over 1.5 million cataract surgeries done each year. A cataract is a clouding of the eye's natural lens. When the lens becomes cloudy, it interferes with the passage of light through the eye, resulting in a decrease in vision. The lens of the eye is similar to the lens of a camera. When the camera lens is not working properly you get a blurry photograph. When the lens of the eye becomes cloudy your vision decreases and things appear blurry. Most cataracts are related to the natural ageing of the eye. However, other factors can be involved. Some diseases, such as diabetes or glaucoma, or the use of certain medications, such as steroids, are thought to increase the chance of a cataract occurring. Often, a cataract only covers a small part of the lens; if sight is not greatly impaired there is no need to remove the cataract. However, if a large portion of the lens becomes cloudy, sight can be partially or completely lost until cataract removal occurs. Who can have a cataract? Cataracts can occur at any age. Most cataracts occur in people who are 60 years of age or older, although a smaller number of people develop cataracts between the ages of 45 and 60. Some cataracts occur in children at birth due to genetic disorders or if the mother had rubella (German measles). Cataracts due to injury can occur at any age. What are some cataract symptoms? If you have cataracts you may not realize it right away. Vision loss may be gradual, painless and hard to detect until significant loss has occurred. Depending on the nature and cause, a cataract can develop rapidly over a few months or slowly over many years. In older people, it is not unusual for cataracts to develop in both eyes but most of the time the cataract develops in only one eye at a time. People with a cataract in only one eye may notice a loss of depth perception; this can cause problems in judging where stairs are and determining the distance of cars driving in front of them. What cataract treatment is available? Presently, there is no medication, eye drops, exercises or glasses to cure or prevent cataracts. Cataract removal surgery is the only way to remove a cataract. Cataract treatment is one of the safest and most common types of surgery. Cataracts cannot be removed with a laser, only through surgery. Cataract surgery involves two steps. The surgeon removes the lens, leaving behind the lens capsule (outer covering). The surgeon will use sound waves to soften the lens and remove it through a needle. Your lens is then replaced with a clear plastic lens at the same time. This artificial disc, called an intra ocular lens, is placed in the lens capsule inside your eye. Once a cataract has been removed, light can once again pass undistorted through the cornea and the newly implanted artificial lens, to the retina in the back of the eye. However, you may still be required to wear glasses to see more clearly because the incoming light needs to be focused directly on the retina. If your eye cannot do so on its own, eyeglasses provide that focus .Cataract surgery is best performed on one eye at a time, to enable you to use one eye while the other is healing. Recovery usually occurs on an outpatient basis. Follow-up visits are scheduled for the next day and one week after surgery. A one month follow-up visit with your optometrist at home is recommended. Your sight will usually improve within a few days, although complete healing may take several months. For the most part it is up to the patient to decide when they want to undergo cataract removal. This is very much an individual decision because each patient has different vision requirements. Questions concerning cataracts and the need for cataract treatment should be discussed with an accredited optometrist and/or an ophthalmologist. Shortly after surgery is completed, the patient may go home and resume almost all routine activities. However, it must be understood that complications may occur in all types of surgery. In cataract removal surgery, hemorrhage, infection, and swelling are all possible, but very uncommon. The chance of any significant complication is less than 1%. 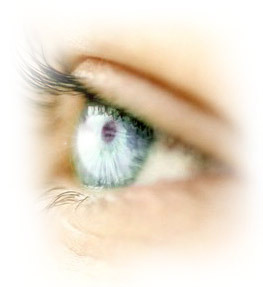 Cataract treatment surgery is among the safest and most successful procedure in the medical field. About a year after surgery, approximately 20% of the patients who undergo cataract surgery develop a haze of the capsular membrane surrounding the lens implant. Should this occur, YAG laser treatment is recommended. The YAG laser is used to create an opening in the clouded membrane, which significantly improves the patient's vision. It is one of the safest treatments used in ophthalmology. It is painless, requires no anesthesia or incision, and takes only minutes to complete. Can I have both eyes done at the same time? If not how long will I need to be on “vacation”? Aj, Terry and Eileen, No you can only have one eye done at a time and you need a minimum of 7 days in between surgeries. So you will need to plan on a vacation of atleast 16 days. I am interested in having lasik eye surgury. How many laskik procedures has your doctor done? Charlie, I personally had lasik here and it was a great experience. Read through the lasik section to find more infor abou the surgery and if you are a good candidate. South American eye surgeons are some of the most experienced surgeons in the world. Each of the surgeons we work with have done thousands. I am amazed at how little Lasik cost in Margarita. Why so cheap? That is the beautiful thing about medical tourism. To you it may seem inexpensive but please keep in mind that to the average person in Margarita the cost of lasik is extremely expensive.